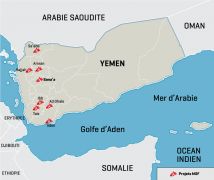 Sana’a – An MSF supported hospital has been hit by a projectile in Northern Yemen causing at least four dead and 10 injured and the collapse of several buildings of the medical facility. Three of the injured are MSF staff, two in critical condition. (...) “All warring parties, including the Saudi led coalition (SLC), are regularly informed of the GPS coordinates of the medical sites where MSF works and we are in constant dialogue with them to ensure that they understand the severity of the humanitarian consequences of the conflict and the need to respect the provision of medical services”, says Raquel Ayora Director of Operations. “There is no way that anyone with the capacity to carry out an airstrike or launch a rocket would not have known that the Shiara Hospital was a functioning health facility providing critical services and supported by MSF”. #Yémen, silence on tue ! 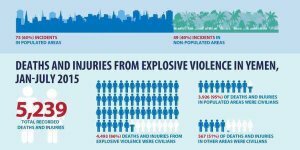 Le président Hadi et les responsables de la milice chiite des #Houthis devraient tenter de mettre un terme à une guerre civile qui a fait près de 6 000 morts dans le pays en neuf mois. ❝Eight months after launching a war in Yemen, Saudi Arabia appears trapped in a protracted and devastating conflict that is straining relations with its allies, intensifying internal power struggles and emboldening its regional rival, Iran, analysts say. Des frappes aériennes menées la nuit dernière dans le nord du Yémen par la coalition dirigée par l’#Arabie_saoudite ont détruit un #hôpital soutenu par Médecins Sans Frontières (MSF). Al-Manar donne l’essentiel d’un article du Economist sur la guerre au #Yémen et les difficultés des Saoudiens à la maîtriser. 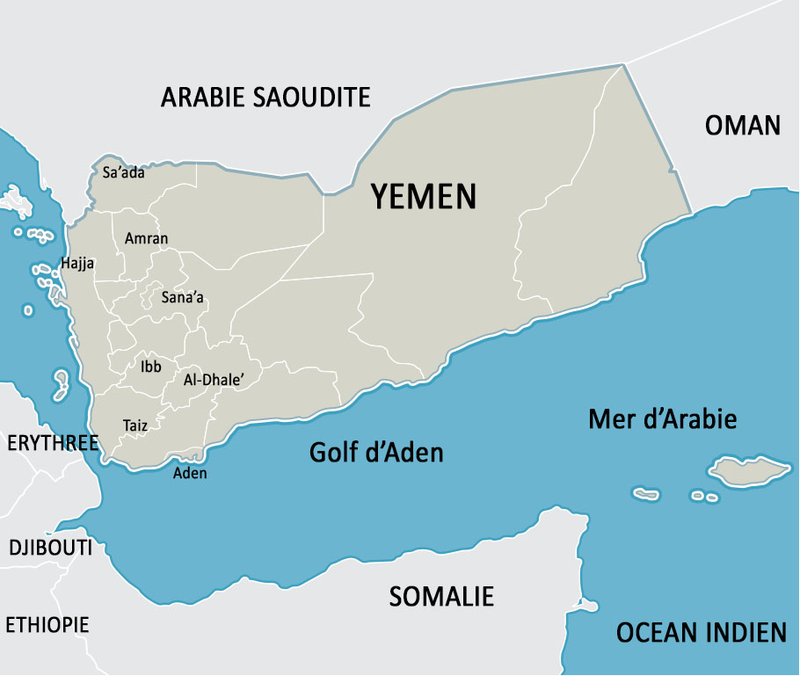 While many “western” media missed it, we reported that one brigade of regular United Arab Emirate troops invaded Yemen through the port of Aden. Videos from Yemen show large columns of French build Leclerc tanks and other modern UAE equipment. 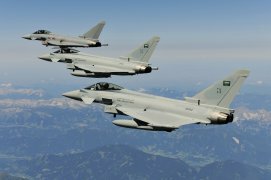 The Saudi and UAE spokesperson declared that they only brought equipment for Yemenis but that can not be true. The tanks will certainly be operated by people with the necessary extensive training on these expensive high tech vehicles, not with fresh off the street recruits with a few weeks of basic training. 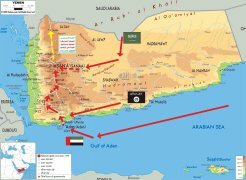 After taking Aden the UAE military, some Yemeni infantry forces trained over the last months outside the country and some local southern separatist groups moved north and attacked the Al Anad airbase held by the Houthi militia and parts of the Yemeni army loyal to former president Saleh. 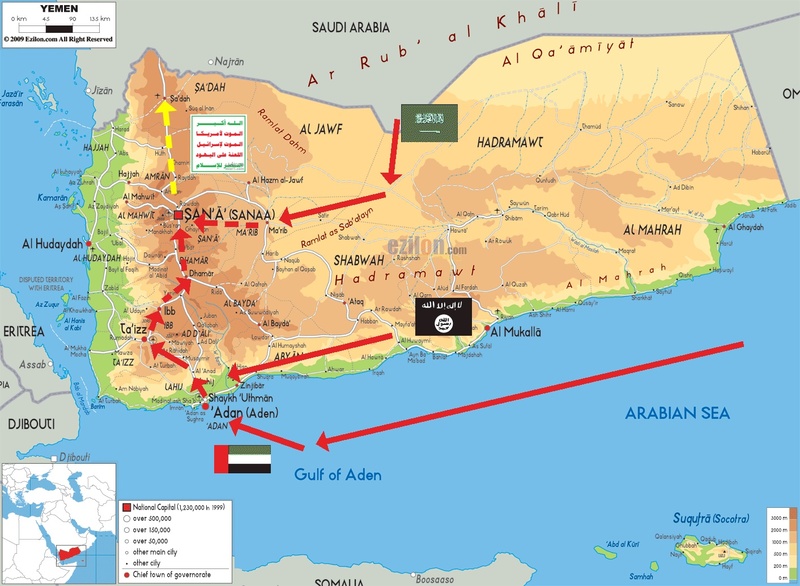 After only a few short skirmishes the Houthi retreated and the UAE troops moved into the base. They then moved further north towards Taiz. But the UAE military is not the only force invading Yemen.